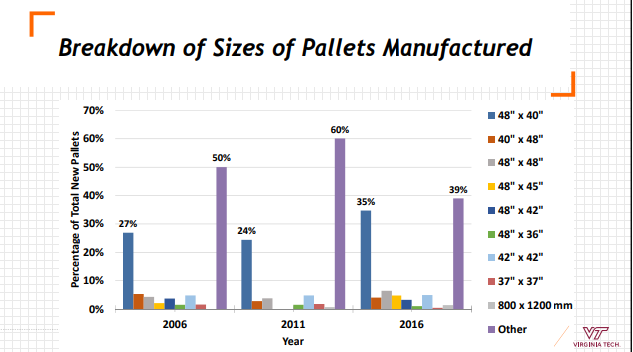 This article has been updated with the most recent pallet industry statistics available. New wooden pallet industry statistics have been made available, resulting from cooperative research projects involving NWPCA, Virginia Tech and USDA Forest Service. One of the projects looked at wood pallet disposal at landfill locations and pallet recycling rates. The other study related to pallet industry statistics. The research was based on a survey of wood pallet manufacturers and recyclers, as well as pallet brokers, with reference to the 2016 fiscal year. Overall annual industry production in 2016 was estimated at 849 million wood pallets (508 million new and 341 million recycled). This output represents an overall 14% (22% increase for new pallets and 5% for recycled) increase compared to 2011 results – previously the most recent data available. 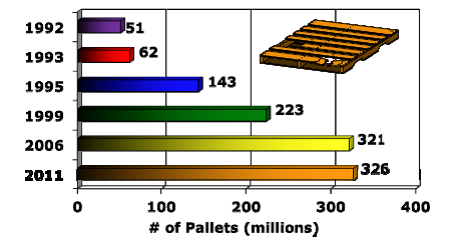 Lumber consumption in pallet production is estimated to range between 4.1 and 5 billion board feet in 2016, with a ratio of 45% hardwood and 55% softwood. According to researchers, pallet production uses 43% of hardwood and 15% of softwood produced in the U.S. 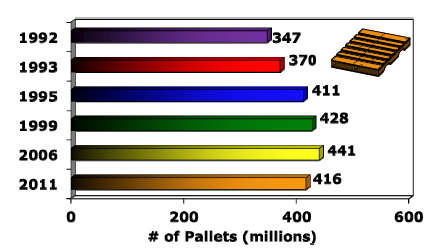 The dominant size remains the 48×40 pallet, representing 35% of pallets produced. Researchers noted that the gap between 48×40 category and the “other” category is closing over time. The 48×40 has increased from 24% in 2011 to 35% in 2016, while “other” has fallen from 60% to 39%. “When compared to prior studies, the difference between these two categories is smaller, which suggests that the industry may be becoming more standardized than it has in the past,” they wrote. Other popular sizes included 48×48, 42×42, 48×45, 40×48 and 37×37. Click to read our article on standard pallet sizes. Slides from the research shown below sourced at www.palletcentral.com. April 9, 2018. As reported in this article about the UK pallet industry, an estimated 42.5 million new pallets were produced in 2016, up 5.6% compared with 2015; in the same period, an estimated 41.4 million pallets were repaired, up 6.2% on 2015. 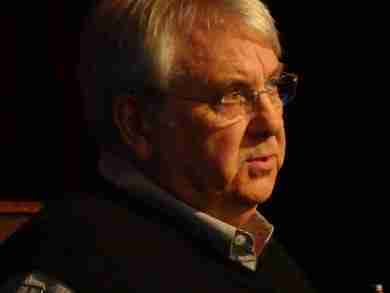 Total UK turnover from manufacturing pallets was £268.1 million; while turnover for repairing pallets was £90.2m. 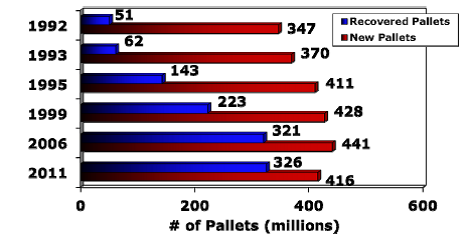 Indeed, the reference to the 2 billion pallets estimated to populate the U.S. pallet pool seems to find its way into most every pallet industry business case and analysis as ambitious projections about potential market capture are made for new pallet products and services poised to transform the market…but is it accurate? I asked Phil, and he assured me that the 2 billion pallet estimate is relatively accurate, based on their research, although that research has never been published. Phil is a researcher for the U.S. Forest Service in Blacksburg, Virginia. The group works closely with Virginia Tech. “We (US Forest Service/VA Tech) have many years of working with your (pallet) industry,” Phil told the group. Their research involves monitoring new pallet manufacturing, pallet recovery/repair/reuse/recycling, as well as waste pallets to landfills. Additionally, the group performs research to support pallet design software PDS and Best Pallet to make better pallets. Here are some of Phil’s noteworthy visuals from his presentation. 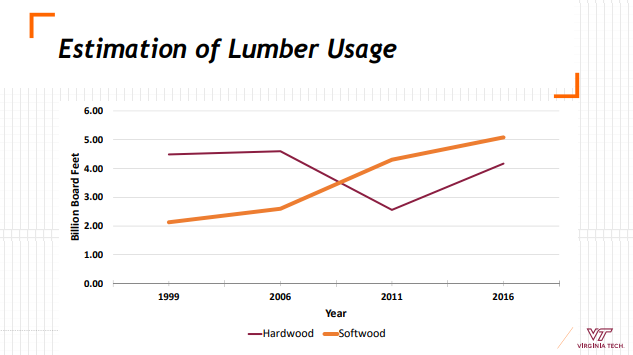 As the graph at right shows, new wood pallet production has been rather flat, registering 416 million units in 2011. 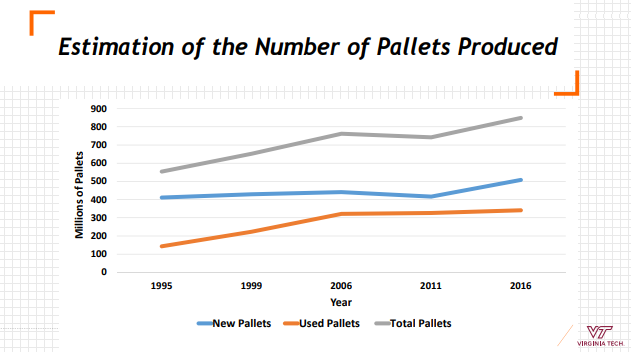 Meanwhile, recovered pallet production has grown dramatically in recent decades as shown by the graph at left below. Overlay the new pallet production with recovered pallet sales, and you can see at lower right how the recovered pallet sales have rapidly closed the gap on new pallets. This slide, Phil said in his presentation, is very powerful. So what does it all mean? Given that wood pallets still command over 90 percent of the market, if we can believe that number, it gives us a sense of the overall market. The growth of recovered wood pallet sales indicates their acceptance by the market as the quality of used pallet offerings has continued to improve, providing a better value proposition for many users.